Left axis deviation (LAD) in children is rare but may be associated with structural heart disease. The aim of this study is to systematically assess the significance of LAD in the pediatric population. We included studies listed in PubMed, EMBASE, Web of Science, Cochrane databases, and Google Scholar before May 31, 2018 and their reference lists. Nine selected studies were grouped into two categories: (1) prevalence of heart diseases in children with LAD on ECG and (2) prevalence of LAD in children with healthy hearts. Two authors independently extracted data using a standardized data extraction form. We identified nine studies including 7514 subjects. Among children with LAD, 66.3% (95% CI 36.9–86.9%) had heart disease. There was heterogeneity amongst studies with Q-value of 142.5 and I2 of 97.2%. 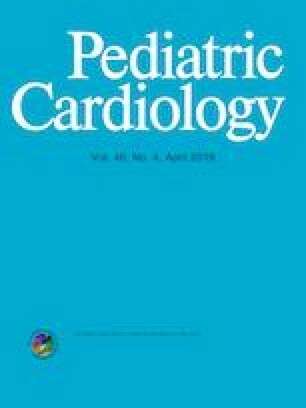 The mean LAD rate was 1.6% in children with healthy hearts with 95% CI (0.4–2.2%) with Q-value of 11.8, I2 66.3% and T 0.34 with p value of 0.018. The limitation of study is that the included studies spanned 7 decades from the 1950s to 2018. Primary diagnostic modalities have evolved over time and the definition of LAD also varied among studies. In conclusion, LAD is associated with children with heart diseases, but may also be observed in healthy children. The degree of LAD axis correlated with the likelihood of congenital heart disease (CHD). Physical examination is crucial for identifying CHD in individuals with LAD. Dr. FSC supervised data collection, drafted the initial manuscript, and constructed the tables and the figures for the manuscript. Ms. AJJ collected data and drafted the initial manuscript. Dr. LVG conceptualized and designed the study, designed the data collection instruments, performed data collection, performed analysis, and drafted the initial manuscript. All authors approved the final manuscript as submitted and agree to be accountable for all aspects of the work. Supported by Children’s Mercy Children’s Research Institute (Dr. Chou). All procedures performed in studies involving human participants were in accordance with the ethical standards.